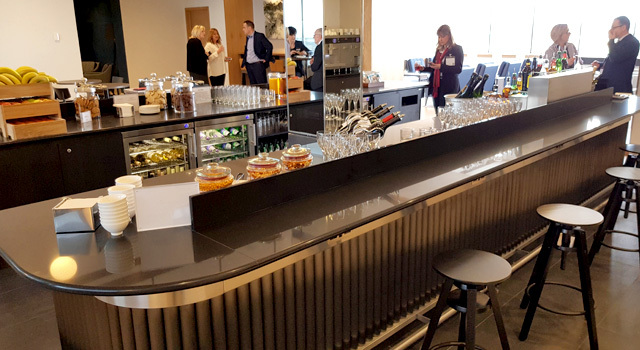 ScoMac were appointed as part of the design team to develop and deliver a new lounge concept for a blue-chip global company. 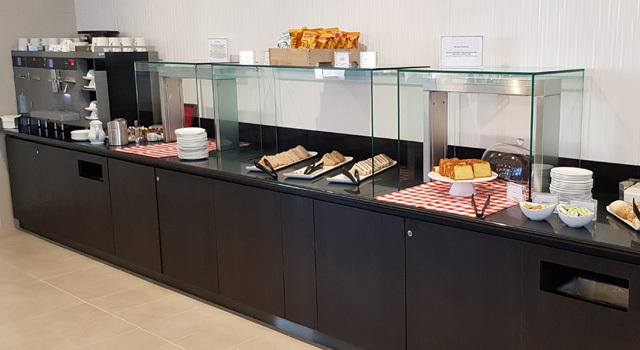 The design had to deliver a high-quality self and assisted service drinks bar, complimented with a hot and cold food display counter. 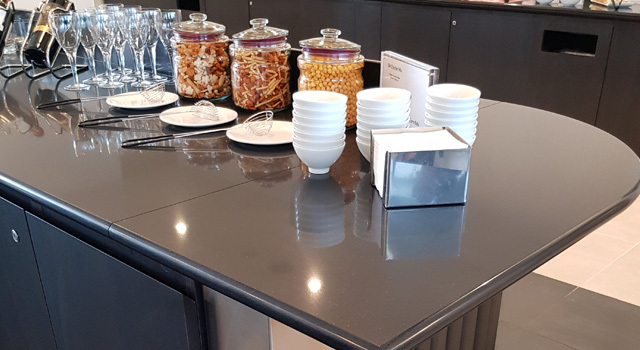 The units were constructed using a composite stone top and a Rimex cladding system that was specifically designed for this client. 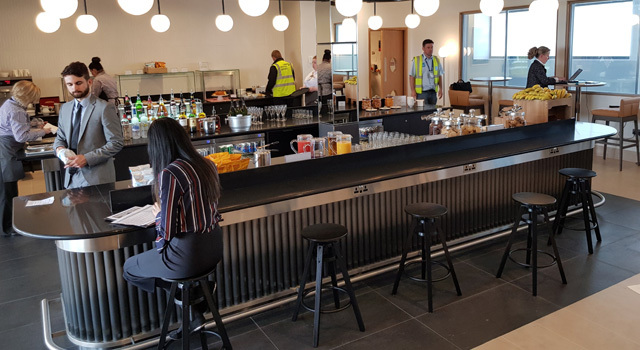 In addition to the bar and food counters we manufactured and supplied the back of house kitchen and decorative lighting suspended above the bar.